A number of our larger hosted and on-premise customers all seem to report the same problem in that they are not able to manage CRM user information effectively. In many cases the CRM administrator from the organisation has had to remote into end users laptops or desktop to change personal settings and this increases the work load of many System administrators. Our goal was to enable System administrator to have extended user settings for CRM and expose additional features that have been excluded from the standard Microsoft CRM admin area. 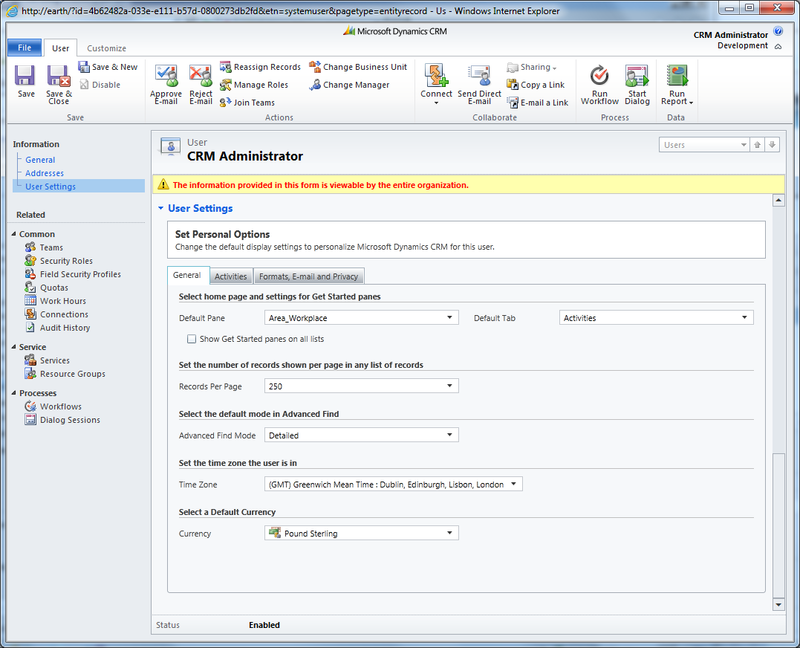 eUser from MyCRM Extended is an extended solution for User Management and administration of end system users which becomes a valuable add-on post a hand full of CRM users. 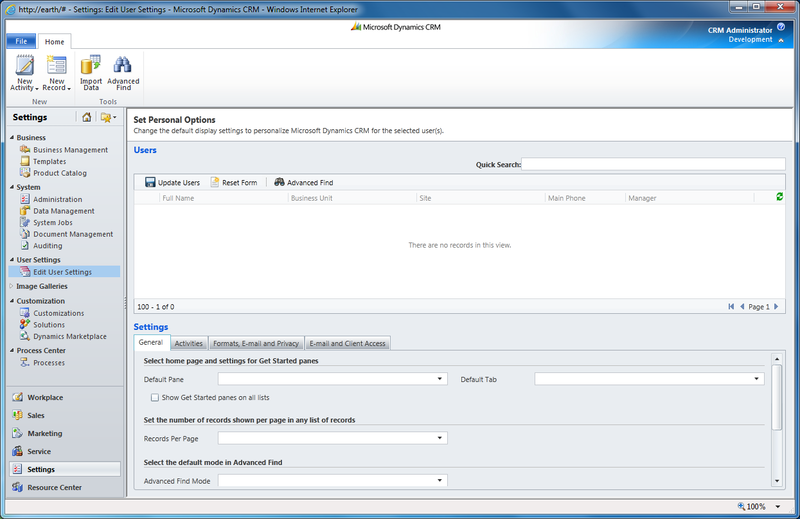 First we take a look at some of the end user extended record settings. These final settings will enable administrators to set language, tracking and error responses. 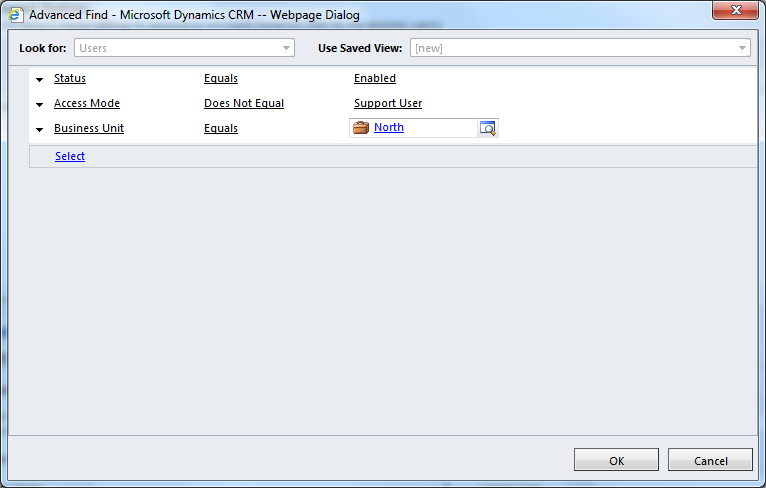 We now go on to look at the new bulk setting features of the new user setting solution. 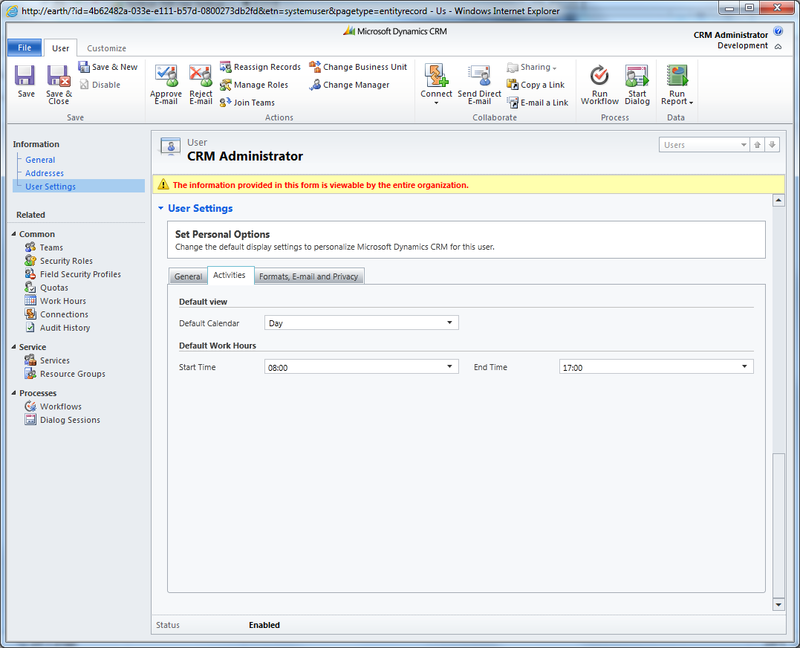 Here an administrator can bulk set how many records a user sees by default, the advanced find mode, the default tab and default pane for selected users. 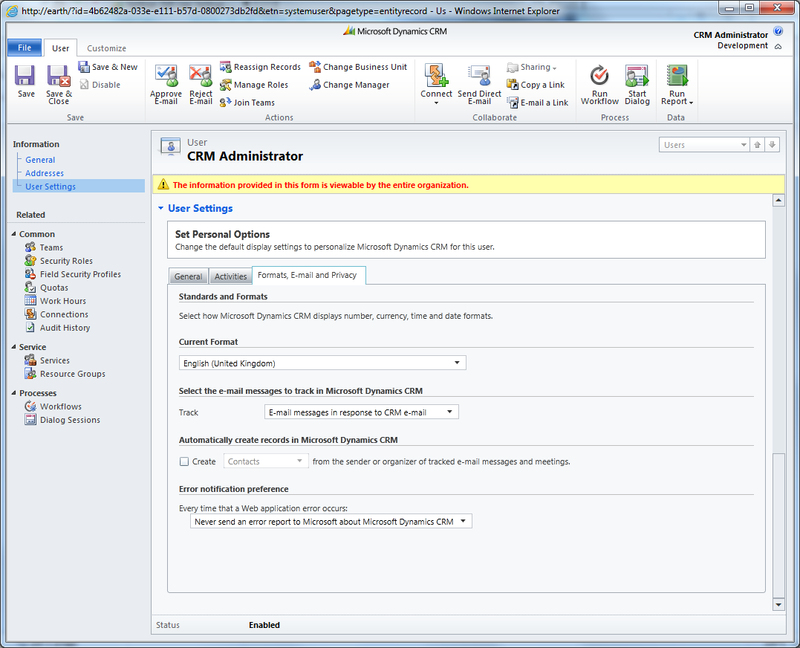 On the email tab as before the administrator can see options around email setting for the selected users. 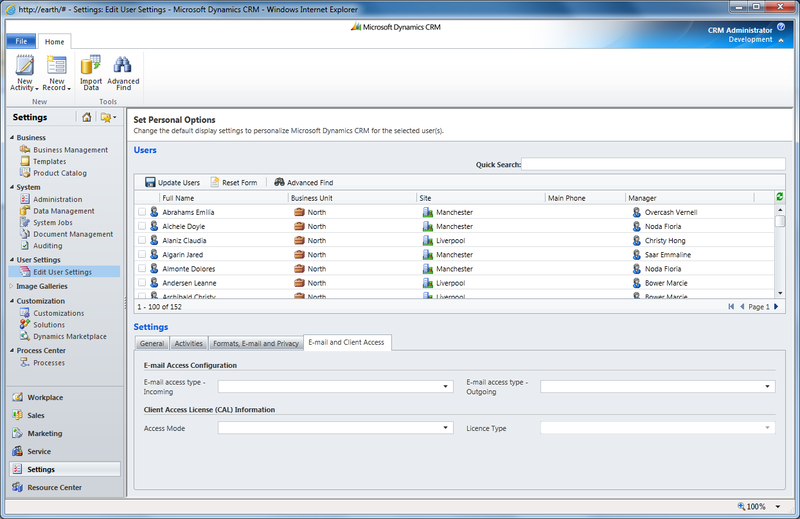 The new eUser module will be released via the download centre in March 2012 and will have a full 14 day trial.